Categories: Zenith Carrying Cases, Zenith Parts and Accessories. Here is an unused leather shoulder strap extension. 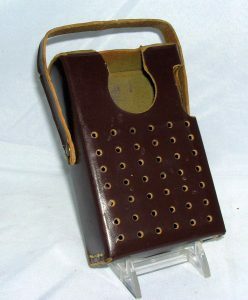 This can be used on any leather case that currently has a shoulder strap to lengthen or repair it.